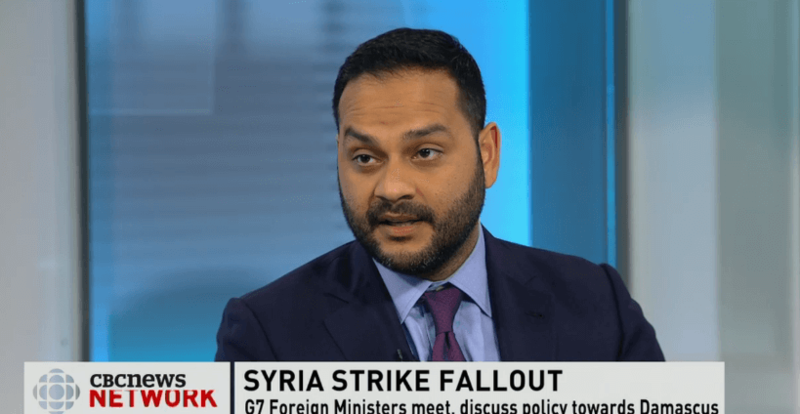 The United States’ launch of airstrikes against Syria is a long-overdue first step to standing up to the crimes of Syrian President Bashar al-Assad, MLI Munk Senior Fellow Shuvaloy Majumdar told CBC. “What the American administration does changes the rules on the ground”, says Majumdar. “It is, as many have noted, a bit of a game changer”. Assad, says Majumdar, “is the biggest killer in Syria, 10 to 12 times that of what ISIS has been doing”. The interview begins at around the 1:35:20 mark.